Election • Saratoga Springs council members angry with congressman's remarks. 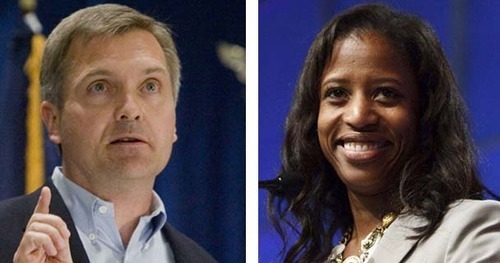 Tribune file photo Mia Love's campaign says Jim Matheson is distorting her record with inaccurate attacks. 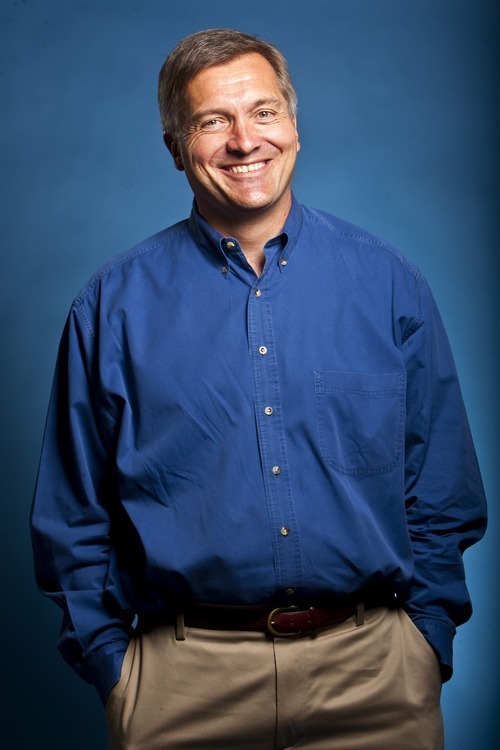 Chris Detrick | Tribune file photo U.S. Rep. Jim Matheson called a news conference Monday to note that GOP challenger Mia Love's history on the Saratoga Springs City Council is one of tax increases. 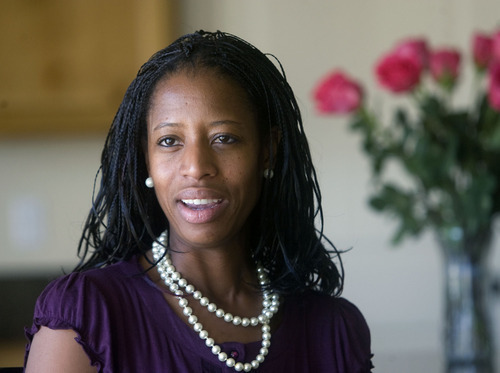 Mia Love more than doubled property taxes while on the Saratoga Springs City Council and Rep. Jim Matheson warned Monday that she could do the same if she is elected to Congress. Between 2008 and 2010 the Saratoga Springs council voted for three consecutive property tax hikes, including a 116 percent jump in the 2008 budget year. "Judging from my opponent's record," Matheson said, "the primary tool in her toolbox is going to be to raise taxes." The Love campaign says Matheson is desperate and going negative against Love with inaccurate attacks. "He's trying to distort her own record and cover up his own failed votes and flawed votes when it comes to taxes," said Ivan DuBois, an adviser on the Love campaign. And a group of Saratoga Springs residents  including a majority of the City Council  criticized Matheson for claiming the city has high taxes and a spiking crime rate. "It just makes me livid that Jim Matheson is willing to throw my city under the bus to get elected," said Ann Harrison. "How can he represent me if he's willing to tear my city down?" City Council members Bud Poduska and Michael McOmber acknowledged that property taxes did increase in the city. For years after Saratoga Springs incorporated, it balanced its budget on booming building permit revenue. But when the housing market crashed, the city was left with a $3 million budget shortfall. The council, including Love, voted to cut spending by $2 million and more than double property taxes  imposing a 116 percent increase. Rates rose again in 2009, 2010 and 2011 to keep revenues level as property values in the community fell. The result: The 2011 property tax rate is more than three times what it was in 2007 and residents pay a higher tax rate than the surrounding communities of Lehi, Eagle Mountain and American Fork. McOmber said that when property taxes are combined with utility rates, the Saratoga Springs' tax burden isn't higher than neighboring cities. "I find it shameful that he wants to hurt a city that he wants to represent," McOm-ber said, "and we're supposed to vote for him?" Matheson also criticized Love for proposing a 50 percent cut to the Earned Income Tax Credit (EITC), which extends a refundable tax credit of up to $5,650 to working Utahns who earn less than $50,000 per household. The cut, he said, would mean the tax burden would grow by $207 million for nearly 190,000 Utahns. Matheson said Gov. Gary Herbert has been urging Utahns eligible for the EITC to claim the credit, and President Ronald Reagan called it "the best anti-poverty, the best pro-family, the best job creation measure to come out of Congress." "My opponent is not even aligned with the mainstream Republican Party," said Matheson, who voted to extend the EITC. DuBois said Love's proposal to cut the tax credit was meant to get people talking about controlling spending. "She's a strong supporter of the Romney-Ryan budget plan and doesn't want to provide services to those who don't pay taxes," DuBois said. "He's trying to pin her into the corner for talking about the budget, but he's never put out a budget proposal." Matheson has said he supports the framework of the Bowles-Simpson plan, a bipartisan proposal recommended by former Wyoming Sen. Alan Simpson and former White House Chief of Staff Erskine Bowles. Matheson said he wants to see all of the tax cuts extended and believes there needs to be an overall review of the tax code to lower the corporate rate and close loopholes. He cited the ethanol tax credit and subsidy for sugar producers as examples of deductions that could be eliminated. Saratoga Springs residents chastised Matheson for claiming at a recent news conference that burglaries in the city had increased nearly fourfold in a one-year period. "I just get tired of politicians lying about the people that they're going to represent," said Councilman Poduska. "We're in the district, and Matheson is lying about the state of our city. If he's willing to lie about us, I figure he's willing to lie about just about anything." Matheson acknowledged he made a mistake in the statistics he cited but maintains that crime overall in the community has risen.